Marek Raczynski belongs to the young generation of Polish composers and relates his artistic work mainly to choral music. He has composed many a cappella choral pieces which entered the repertoire of many vocal ensembles all over the world. His artistic repository also includes vocal-instrumental pieces, instrumental forms and numerous arrangements. 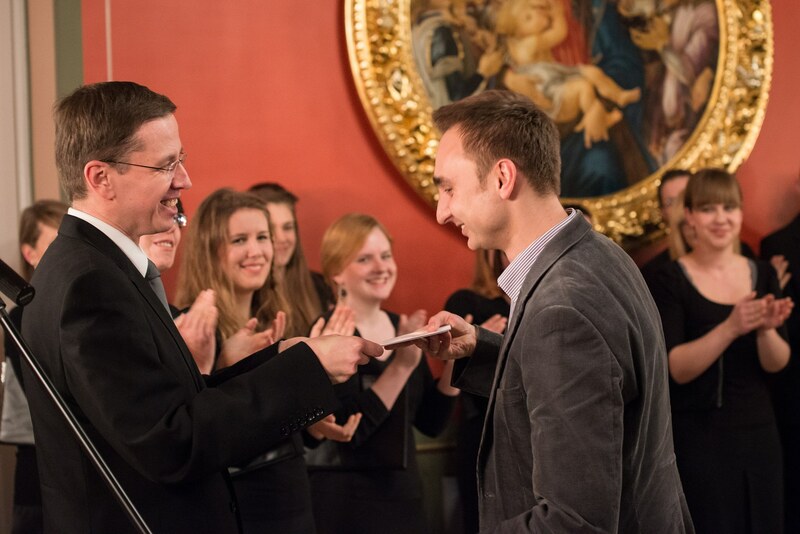 His initiation to the world of music Marek Raczynski owes to Prof. Stefan Stuligrosz, the conductor of “The Poznan Nightingales”, the boys’ and men’s choir in which Marek Raczynski sang for over a decade. Later, as a member of many choirs performing in Poland and Germany, he further developed his sense of music and knowledge of choral literature. Marek Raczynski graduated from the Frederic Chopin University of Music in Warsaw where he mastered his composing skills during a Post-Graduate Composition Course in the class of Prof. Pawel Lukaszewski. Additionally, Raczynski also graduated from the Adam Mickiewicz University in Poznan where he studied psychology. Marek Raczynski does not limit himself to composing. He is a co-founder and member of “Minimus” Vocal Ensemble and, since 2015, he is a vice-president of the Chamber Music Promotion Association, “Musica Minima”.